Just a quick update: I’m restarting the work on this game after a long pause. I have a full time job now that eats up all my free time, but I’ll try working on it on weekends and whenever I have a little free time. Since I launched the game on Google Play I spent most of my time updating different things suggested by some players, like unequip function, buy/sell buttons on Shop menu, item compare by text and arrows(green up arrow if the item is better then the one equipped, red down arrow if it’s worse), etc. 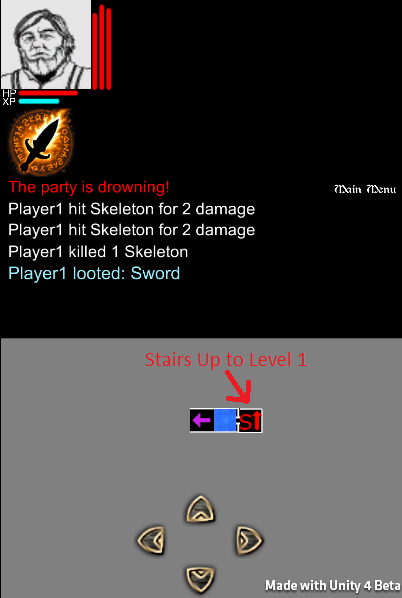 When you enter combat, the arrow, map and combat log will jump down to make room for all of your characters in the party with all their skills. 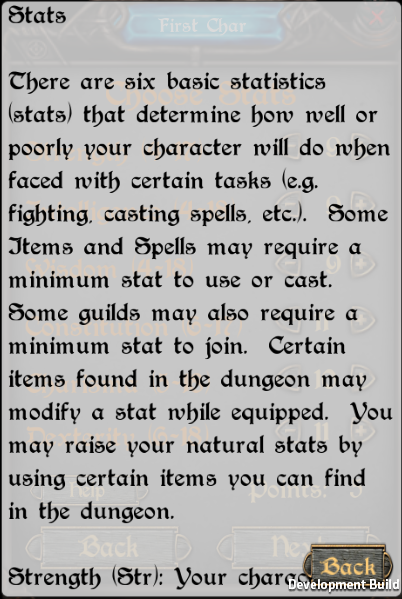 It is much easier to manage the skills of your characters this way. 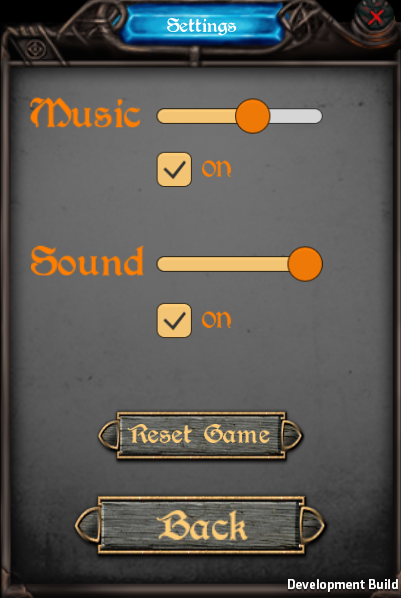 You can disable this function in the Settings menu. Fixed another round of bugs and did some improvements. Next I’ll focus on finishing the rest of the guild skills. I finally finished the ageing and resurrection system. 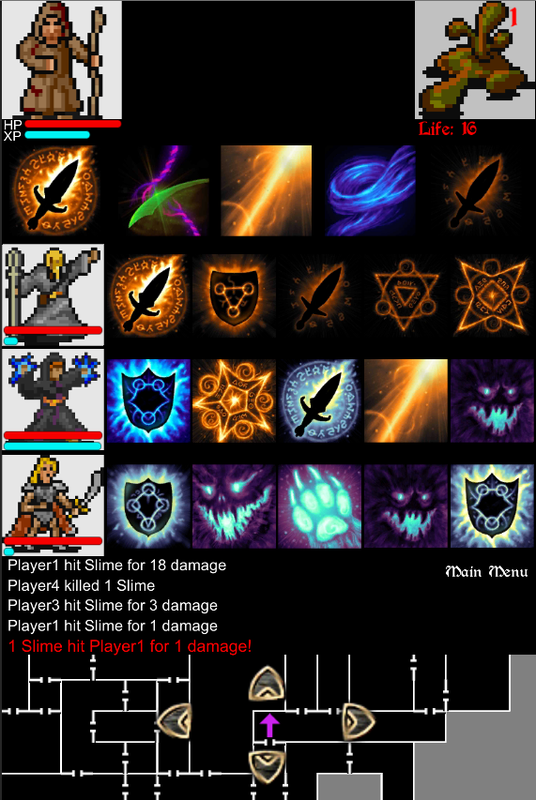 Characters start at age 18 (will lower it to 16 for next build), and every time you get back to town you need to rest 1 day for every 3% damage you suffered in combat. This makes healers really good, you can heal a little before entering town, so you rest fewer days. When all party members die, you have to wait for rescuers, and the deeper you are in the dungeon, the more days you have to wait. 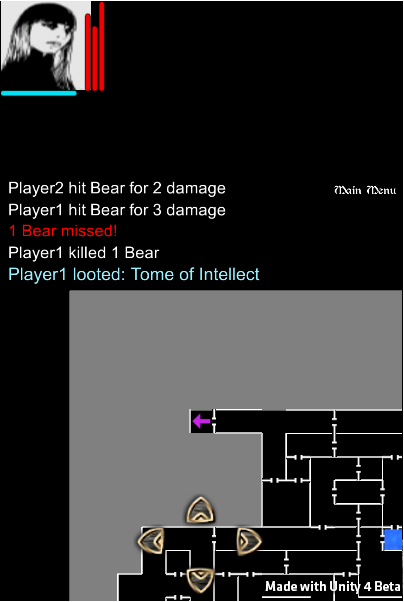 In dungeon map 3, if you are unlucky, you can wait almost a year before somebody finds your bodies! As older your characters get, the higher the chance for resurrection to fail and complications to appear. After a successful resurrection there is a chance to lose 1 point of Constitution. This is bad. The lower the Constitution -> the higher the chance for the resurrection to fail. When a resurrection fails, the next time you try to resurrect, there will be a chance for a complication to appear. When complications appear you lose 5 from all stats (but not below race minimum stats), age 10 years, and lose 10% life. This is very bad. So now it is very important to keep your party alive as much as possible, always run back to town to heal. I was busy in the last couple of days and fixed some bugs/implemented some little things that I always wanted. 1) First I fixed a healing bug, you couldn’t heal the 3rd and 4th characters. 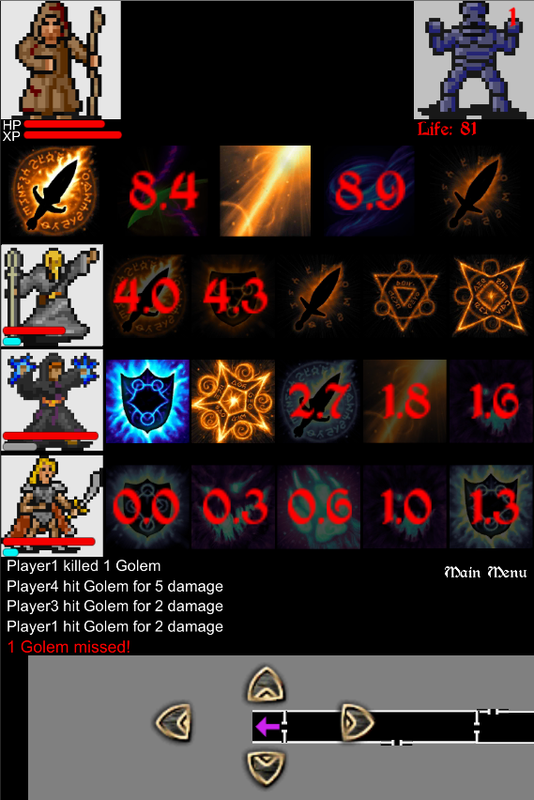 2) Changed the main characters Life bar position, and added HP and XP text. 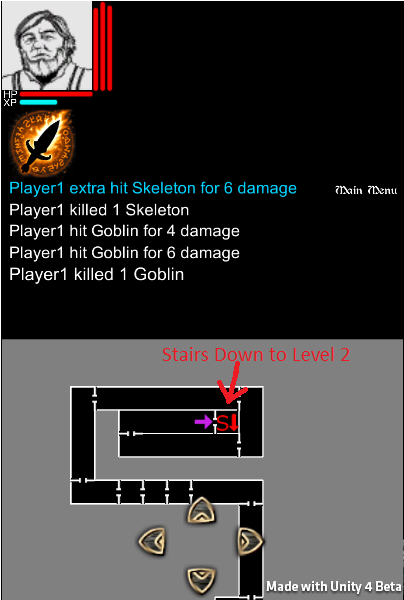 5) Added movement limitation when there is combat. 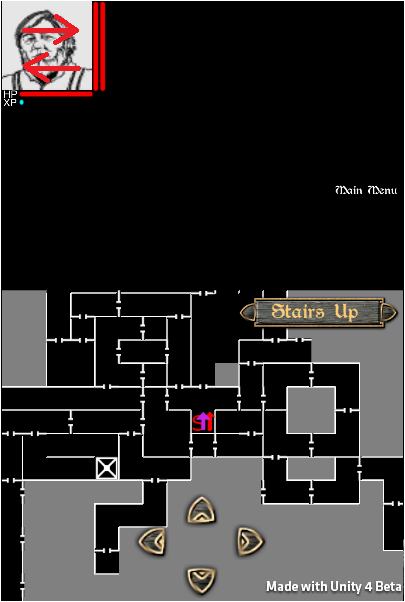 It was to easy to just run through the rooms filled with enemies without taking any damage. 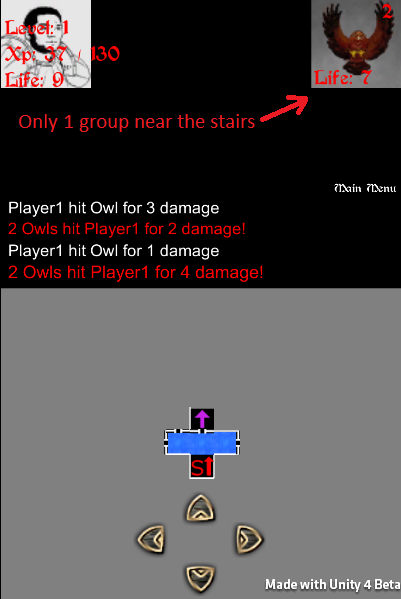 Now you can only move 1 square every combat turn (you move every 1 seconds). 7) Saving of unopened chests! This one is really nice, before if you left a room with an unopened chest, it disappeared. 8) Redesigned the map! Added 15 pits, 5 teleporters and 4 secret doors + a lot of water. Planning on making the 2nd and 3rd dungeon level next. Things are going a little slow since school started, it’s the last year and I have to do side projects as homework. It needs more work, but it’s functional. The first red bar from the left is the currently selected and visible characters life bar, and the next bars are the other characters life bars in order, from left to right, without the visible character one. For exemple: if we have 3 characters, and the second one is visible, then the first red bar is the second characters life bar, the second red bar is the first characters life bar, and the last red bar is the 3rd characters life bar. I may change this to be more clear in the future. The light blue XP bar means you are getting normal XP, the grey bar means that you are ready to level up, but you can get more XP before returning to town, and the red bar means that you are pinned, which means you can’t get more XP until you level up in town. Bad news: the game will reset again… unfortunately this will happen a few more times again, but the game isn’t in a playable state yet, only for testing, so it will be ok.